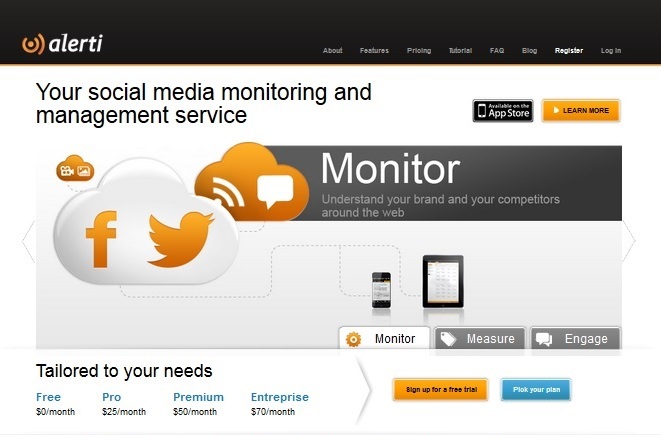 Alerti is an entry-level social media management tool that focuses heavily on project management and alerts. If you are looking to track brand mentions or follow conversations on certain keywords then this is most certainly the ideal solution. Alerti offer a social media management platform that is dedicated to bringing you brand and keywords alerts right to your dashboard, so you can react, engage and bring your social campaigns to life. By having everything in one main area you can really take control over your social media networks, and help increase customer service and sales. The sentiment analysis feature lets you see whether your brand is being seen in a positive or negative light, or monitor multiple brands under one roof. Bear in mind that this tool is very much an entry-level tool, so don’t be too surprised if you find out that it is lacking depth when you start to gain proficiency in using it. Alerti is reasonably priced, and offers a selection of competitive paid packages that can get any small business’ social media accounts off to a great start. 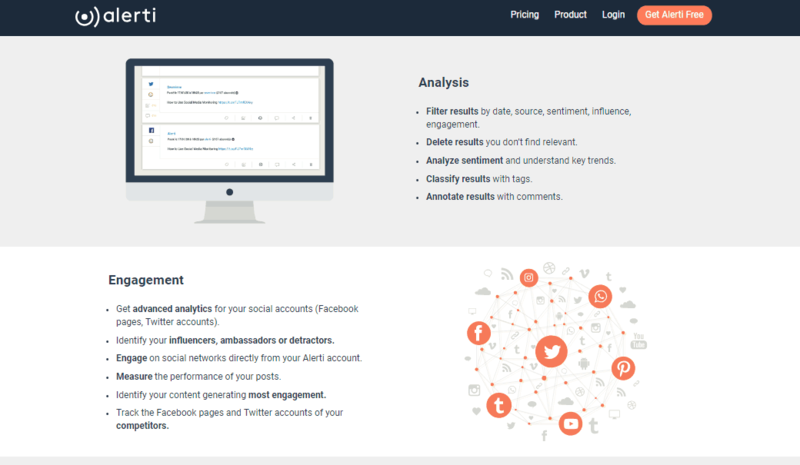 Wondering if Alerti is the best option for your social media strategy? Let us tell you about it! Like every other social media management tool, Alerti covers all the basics such as monitoring, reports, email alerts, and messaging scheduling. However, as you will see further down in this review, most of the more advanced features (such as Facebook fan page management and advanced Twitter statistics) are only accessible in the more expensive paid plans. 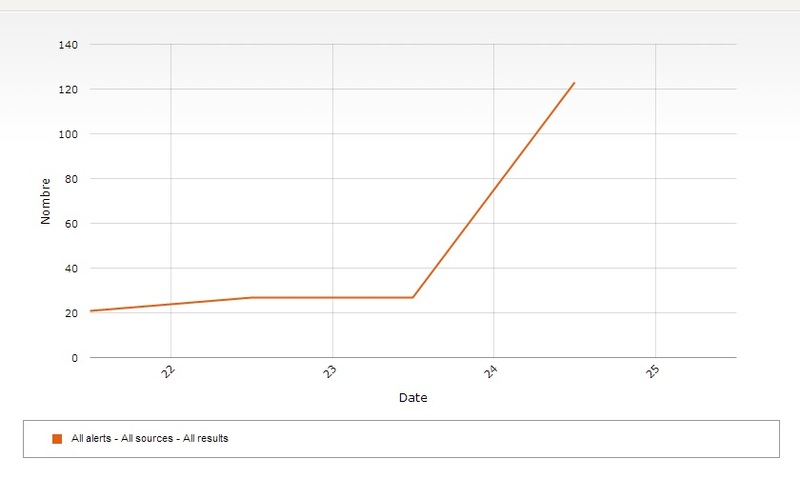 One great thing about the Alerti system is the ability to export reports and graphs on the alerts that you have setup, indicating which social media channels are performing the best. However, Alerti does fall behind with the lack of Google Analytics integration and the fact that it is missing a URL shortening service to help track links. You can use Bit.ly for this though so it’s not a massive issue, though you would expect to see this for the price you are paying. One great area that does put Alerti back in a good light is the collaboration options it has featured. It’s very easy to organize teams, share alerts with them and keep up-to-date with how they are progressing. With an iPhone app available for download, you can manage all these on the move. Android users will have to use desktop. At first glance, the desktop version of Alerti could be a bit easier on the eye. In terms of the interface, you have a clear and manageable area to control your social media accounts, with the main navigation running across the top, and the sub-navigation displayed on the left column. Taking up the middle section are the results and graphics that you can draw info from. If you are looking for a tool that puts an emphasis on alerts, then Alerti definitely lives up to its name. Looking through the Alerti website, there are very few resources to guide you through the software. The FAQ section only has about 2 dozen entries, and the answers aren’t very detailed. 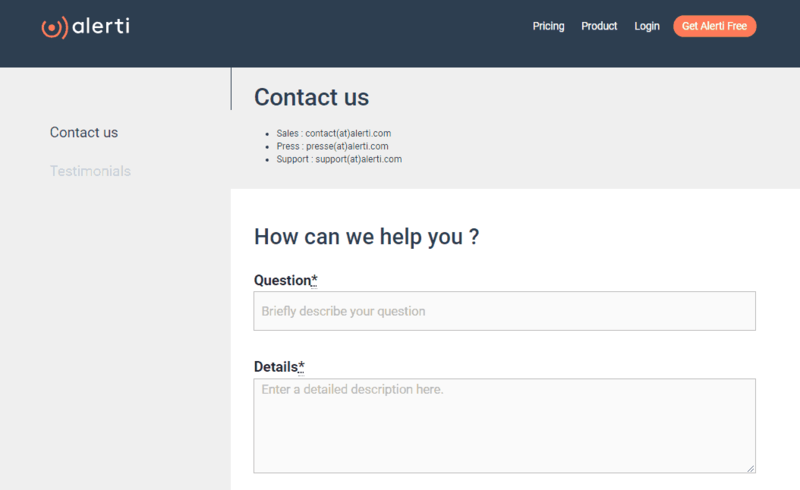 There is no ticket support system, no video tutorials, no community discussion groups, and no telephone number present on the site. The only support you do get is via email, but it’s unclear how long it would take them to respond. Alerti offers a free version, which is a massive plus point, however, the free version limits what you can access and control, so to really make sense of it, you will need to take one of the premium packages. The number of social accounts you can add is limited on all plans, with Pro starting at 2 social accounts, and Enterprise at 15 accounts- definitely not enough for a large business. What this all comes down to is that while Alerti does provide the goods (Twitter stats, Facebook fanpage management); it baits you into paying the maximum price to get them. Up-front annual subscriptions entitle you for a discount, and you can upgrade or downgrade your plan anytime. onClick="trackClickout('event', 'clickout', 'Vendor Page - Visit User Reviews', 'Alerti', this, true);"
Alerti is a social media management tool heavily based on an alert system, which is capable of tracking specific keywords and phrases across blogs, images and social networking sites that you want to monitor, whether these are generic or brand key terms. The program has a good number of useful features available, and they do offer a 14-day free trial version, for individuals who want to test the water before committing to a paid package. Having a mobile app to let you monitor on the move in the free version is a big plus point, which currently is only available for iOS users. Alerti does have its flaws though, the first being that the packages are slightly more expensive than other social media management tools.